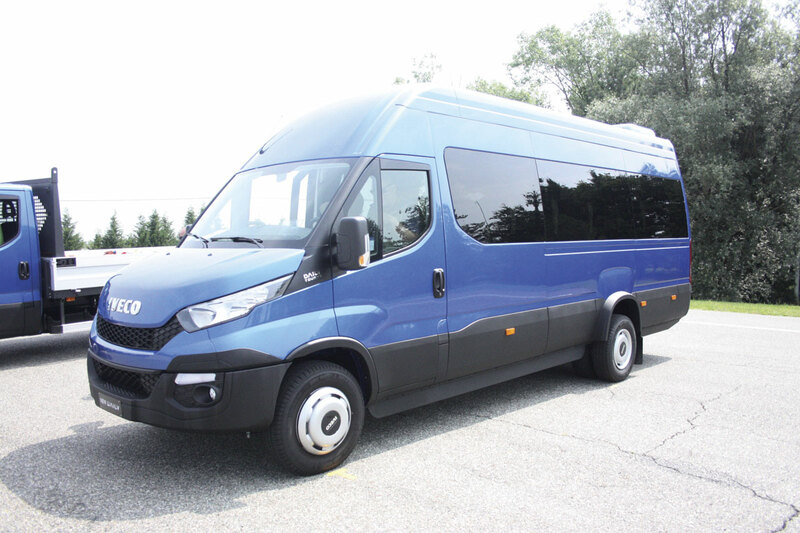 It is quite clear that Iveco has taken a conscious decision to win some of the market currently enjoyed by Mercedes-Benz with their Sprinter and with the new Daily they are well equipped to do it. In a number of areas it is significantly better than the Sprinter. In my opinion the current Iveco Daily has not achieved the market acceptance that it should have, because it is a very good vehicle, particularly when fitted with the 3.0 litre engine, comparing well with that used by Mercedes-Benz in its top end Sprinter models. There is no doubt that the Daily has suffered from its past reputation. That reputation of poor corrosion protection and component reliability, especially the engine, was earned by the original Daily and was justified, but we are talking here about a vehicle that was originally introduced in 1978. 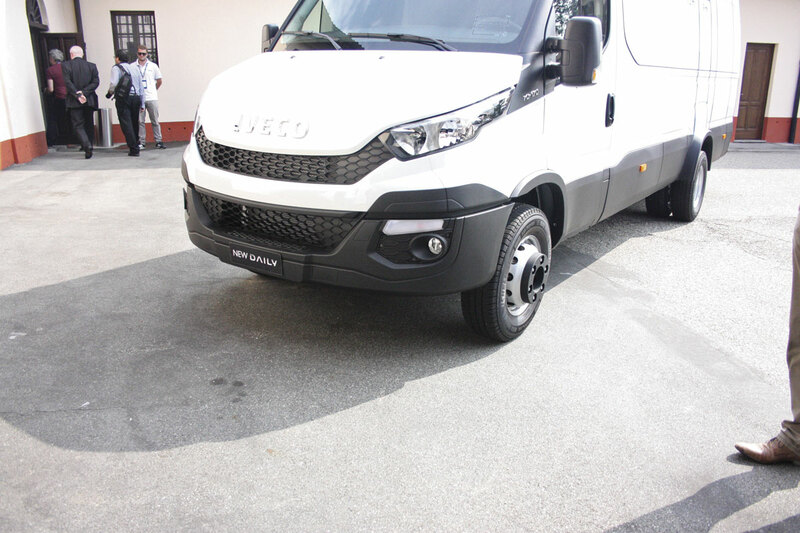 Over the years Iveco have addressed those issues and certainly since the introduction of the current Daily in 2006, with a facelift since, they are not criticisms that stand scrutiny. The current Daily has excellent corrosion protection, the key components have been improved out of all recognition especially the engines which are amongst the most powerful, the quietest and the most fuel efficient on the market, yet that previous reputation has persisted except amongst those who added them to their fleets and found that they are actually very good vehicles. The New Daily, is just that – New. It is not a re-vamp of the existing model. Yes, there are some carry over components and there is nothing wrong in that because they were already very good, but 80% of New Daily is exactly that, new, and when you realise that the 20% includes major items, like the engines, then you can really begin to appreciate what a major development this new vehicle is. Even many of the components that make up that 20% of carry-over parts have also been improved. The most significant thing about the New Daily is that it is a completely new body structure. Iveco has spent over £500m re-equipping its Daily factories at Suzzara in Italy and Valladolid in Spain, introducing extensive robot controlled systems to not only form components but also to bring them together. Advanced robot welding systems are used to achieve a consistency of build quality never before achievable. There is practically no human intervention in the construction of the basic body structure. One thing that Iveco have retained is the ladder frame understructure for the van side of the range, I will deal with the chassis cab separately. 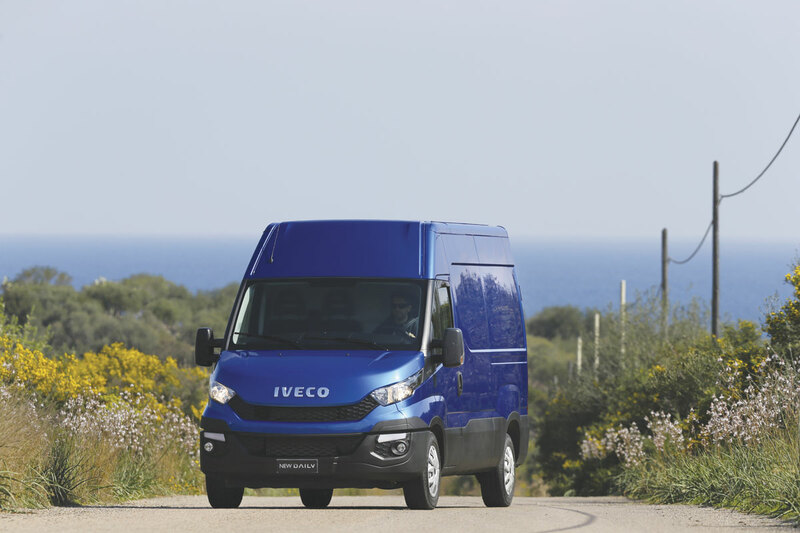 Unlike most other van makers, Iveco do not derive their chassis cab versions from the van, they have always had separate van and chassis cab models and that continues. There are also some significant changes in the dimensions of the vehicles, especially the wheelbases, which enable them to achieve major increases in usable body space and load carrying abilities without affecting the handling. New into the range come wheelbases of 3,000mm, 3,520mm and 4,100mm. The latter two are available with either a long or short rear overhang. This enables them to achieve maximum load volumes of 18 cu.m. and 19.6 cu.m. respectively – easily the best on the market. The Daily has always had a major advantage over the competition in being able to offer a maximum GVW of seven tonnes. The new range continues to offer a GVW span from 3.3 to seven tonnes. There are a range of body heights up to 2.1m and overall lengths between 5.04 m and 7.5m with load space dimensions between 2.6 and 5.1m. Added to this the floor height has been lowered by 55mm. 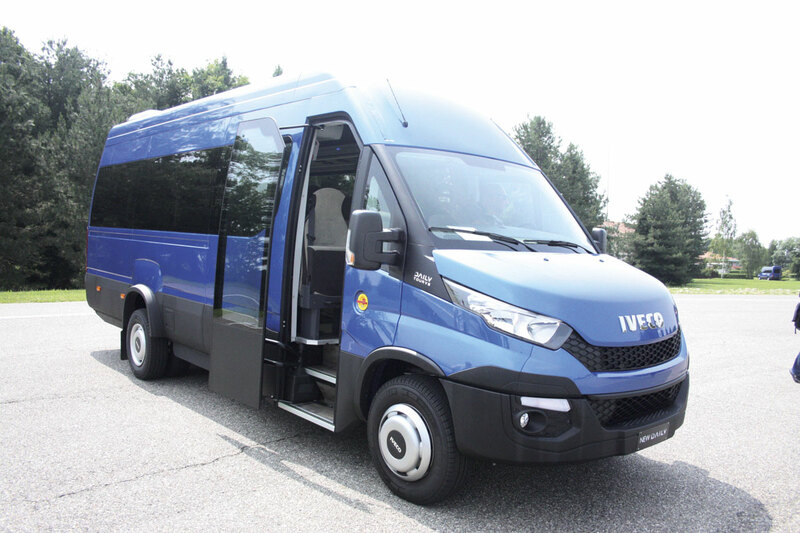 The combination of extended wheelbases and increased load space should offer minibus converters some interesting opportunities to produce innovative new models. The Daily chassis cab has always been a popular base for bodybuilders to use for the production of minibuses and coaches and the New Daily offers even better opportunities. 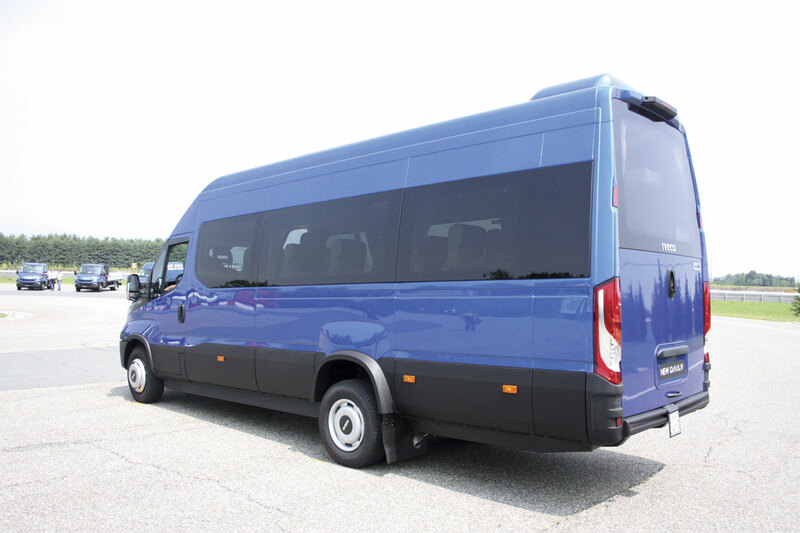 The same range of extended wheelbases that are available on the vans are also available in chassis cab form. This provides the opportunity to build a vehicle to a maximum length of 6.2m and still maintain the excellent driveability with the new 4,100mm wheelbase variant providing a bodybuilding space of 4.5m. The 3,000mm wheelbase version has a rear axle capacity of 3,000kg on single wheels or 3,316kg on twin wheels with a GVW span of 3.3 to 5.2 tonnes; the 3,450mm wheelbase model has axle load capacity of 3,886kg on either single or twin wheels and a GVW span of 3.5 to 7.0 tonnes; the 3,750mm wheelbase version has a maximum axle load capacity of 4,495kg in either single or twin wheel configuration and a GVW span from 3.5 to 7.0 tonnes; the 4,100 mm wheelbase offers 4,495kg axle load capacity on single wheels or 4,895kg with twins and a GVW span from 3.5 to 7.0tonnes. Of particular interest in our market are the two top end models. Here the 4,300mm wheelbase model offers a load capacity of 5,340kg on twin wheels and the 4,750mm wheelbase a load capacity of 6190kg on twin wheels. Both wheelbases have a GVW span from 5.2 to 7.0 tonnes. The New Daily continues to use the 2.3 litre and 3.0 litre four-cylinder, turbocharged, common rail, direct injection diesels that are used in the current Daily and that is good because both these engines, but especially the 3.0 litre, have an excellent reputation for power generation, torque, quietness, durability, reliability and fuel economy. The engines have of course been tweaked to achieve the latest emission control standards. Here is where things begin to become a little complicated. Europe in its infinite wisdom for making things complicated has decided that the nomenclature for the new standards of emission control is to change. Engines that conform to the new Light Duty standard (Euro5b+) will use Arabic numbers but where that engine is being used to the new Heavy Duty Standard it will use Roman numerals (EuroVI). Confused? The 2.3 litre engine is available at 106, 126 and 146bhp settings. These produce maximum torque figures of 270, 320 and 350 Nm respectively. These engines use different levels and systems of turbocharging. The 106 and 126bhp units use wastegate turbochargers, whilst the 146 uses a variable geometry turbocharger. All continue to use EGR only to achieve the emission standard. The 3.0litre engine, when used in Light Duty vehicles which require Euro5b+ emission control, is available with power outputs of 146, 170 and a new higher rate of 205bhp. The maximum torque figures are 350, 450 and 470 respectively. The 146 setting uses the wastegate turbocharger, the 170 a variable geometry turbocharger and the new 205 bhp setting uses twin turbochargers. These engines again only use EGR for emission control. 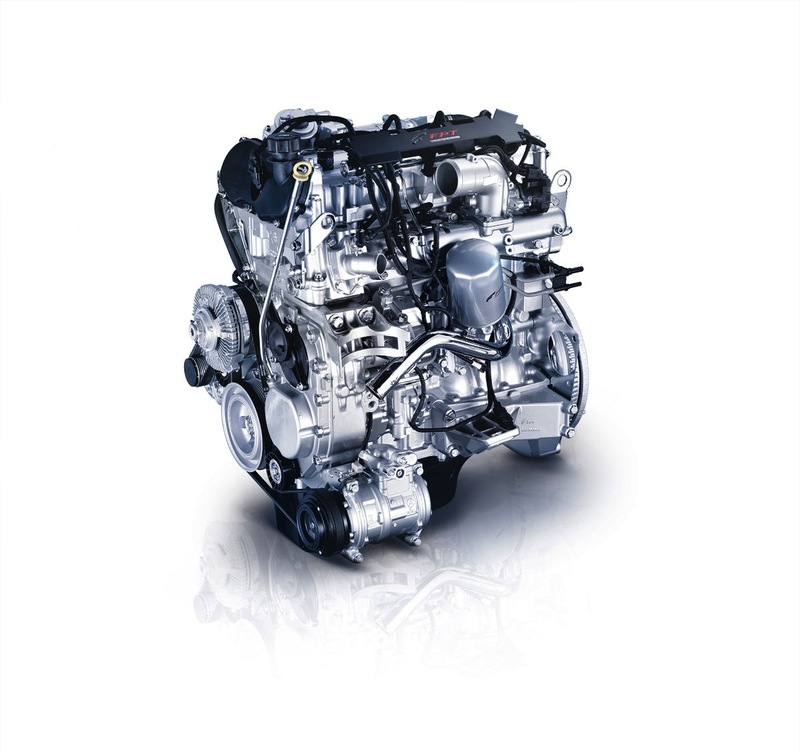 The 3.0 litre engine when used for Heavy Duty vehicles into which category most minibuses and coaches will fall require, engines to EuroVI. The power outputs in EuroVI are 146 and 170bhp developing maximum torque figures of 350 and 400Nm respectively. The 146 uses a wastegate turbocharger and the 170 a variable geometry turbocharger. Emission control uses a mixed EGR/SCR system with the addition of adblue. At the launch, the EuroVI engine was not shown as being available at the new 205bhp setting. However, a bit of probing elicited the information that this is currently a commercial decision by Iveco, not an engineering one. The engine is capable of operating to the higher bhp in EuroVI and has already been engineered for that. It seems that Iveco have introduced the setting only in the Light Duty category because that was being demanded by the motorhome producers. I predict that it will soon be available generally as the minibus and coach builders and converters put pressure on Iveco to make it available to them and so they should. I drove one and its performance was amazing. Iveco are claiming that the new engines achieve a 5% improvement in fuel consumption. This is achieved by new low friction piston rings, low viscosity OW30 oil, a Smart alternator that only operates when it is required to and has an element of energy storage derived from deceleration and a close coupled DPF in the exhaust system. If you specify the optional EcoPack, which includes automatic engine stop/start and acceleration control, they claim that up to 14% improvement in fuel consumption can be achieved.